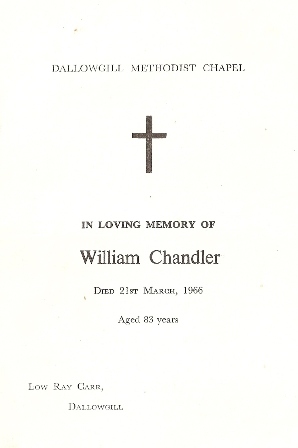 In Loving Memory of William Chandler. 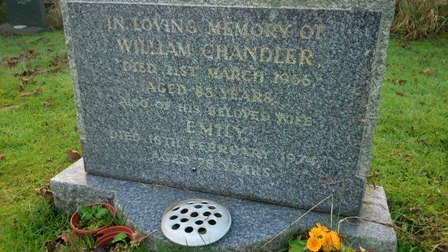 Died 21st March 1966. Aged 83 years. Also of his beloved Wife Emily. Died 18th February 1974. Aged 78 years.